Aryah is a transwoman. After suffering a death in her family, she went to her employer’s human resources department not only in search of bereavement counseling, but also to discuss her personal life and issues she was facing as a trans person. As a result of the meeting, she was granted time off to grieve and to deal with her loss. Upon her return to New York, Aryah was told that she would have to undergo a psychological evaluation in order to resume her work. It was a rather non-traditional and burdensome way to treat a grieving employee, especially in light of the disclosure of her gender identity, but she determined to comply in order to restore her stream of income. Typical of most employer-based insurance coverage, the plan provided by Aryah’s employer did not cover psychiatric services, which meant her employer was requesting that she pay for a visit to the psychiatrist at full price entirely out of pocket. Surviving on wages of under nine dollars an hour, this was out of the question for her. Aryah was at a loss. She needed to return to work in order to afford the evaluation, but was forbidden from returning without it. Eventually she received a notice of termination on the grounds the she had missed too many workdays. Would Aryah’s employer have asked any other employee for a psychological evaluation after taking personal time off? Would they have mandated the evaluation had she not disclosed her gender identity? She wasn’t so sure. “It’s really a defeating type of thing, you know, you want and you need and you just get tired of the failures and disappointments,” Aryah says of her experience trying to come back to work. Eventually she left New York for Miami in search of a more tolerant environment for trans people. What she found in South Florida was not much better. After a short time in the employment of a small support program for trans people in Miami Beach, Aryah found herself unable to find a place to live. 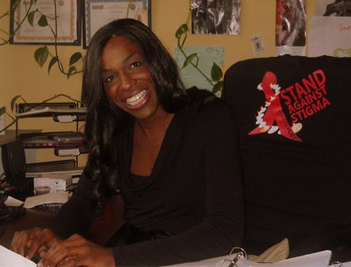 Today, Aryah has made a somewhat more stable life for herself as the founder and director of Trans-Miami, a new transgender support organization headquartered on South Beach. The group offers socially displaced and marginalized members of the trans community resources such as empowerment workshops, support groups, and referrals to trans-friendly health providers. Trans-Miami recently conducted its inaugural volunteer training and plans to continue training volunteers in issues of trans sensitivity and support in the coming weeks and months. In spite of her successes as an advocate for the Miami-Dade trans community, she has still faced difficulty securing full-time employment and funding for her organization, and steadfastly advocates for the adoption of a countywide trans-inclusive Human Rights Ordinance for this reason. Aryah appreciates the protections for the trans community in place within the limits of the City of Miami Beach, but she says it’s clear they don’t go far enough. She strongly endorses SAVE’s efforts to push for passage of a trans-inclusive Human Rights Ordinance and has committed to putting in volunteer hours lobbying the County Commission on its behalf.